With over 45 years of experience in serving manufacturing industries, we have designed a complete line of LED Andon displays including marquees and process control boards. These displays have been designed and tested to withstand the precision and serviceability required within the industrial process. The term “Andon” refers to a visual system used to notify management, workers and maintenance of either process or quality problems. The Andon system identifies the proper people of the nature and location of problems within a system. Companies around the world have implemented an Andon system to complement and help drive their manufacturing processes. FactoryVision Andon displays integrate seamlessly within existing manufacturing intelligence and data collection systems to meet the high-visibility, clear communication needs of any manufacturing or warehousing operation. With an Onboard Pentium processor option, Andon boards supply high end processing performance with multiple input sources. From tri-color to full color matrix systems, FactoryVision Andon systems meet the precise communication needs of all warehousing or manufacturing operations. 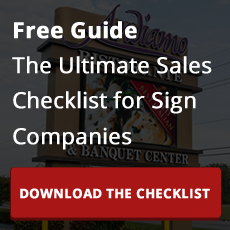 Offering a continuous stream of communication to all parts within the company, these industrial LED signs supply information to employees on how they affect overall performance. Multiple page text and graphics, standard row column layouts and full motion video replay give companies that opportunity to create eye-catching messages. By quickly and efficiently providing information when problems come arise, our Andon displays minimizes the time equipment is down and the time employees have to work on it, saving you time and money. Electro-Matic's innovations such as the single-point connections and modular design system reduce life cycle costs by minimizing part count and making units easily serviceable. The successful implementation of an Andon system typically offers a return on investment of one year or less. The automobile manufacturing industry demands high efficiency and top precision. General Motors of Lordstown came to us seeking a way to maintain each of those while increasing their productivity and establishing a central nervous system for their manufacturing processes. Electro-matic installed a cutting-edge industrial LED display, allowing the facility to maintain up to date, real-time communication between employees and management. Factory Vision Andon displays, marquees and process control boards are visual production control devices which can continuously show the changing status of a production line. They integrate seamlessly into a manufacturing system and help to increase production and communication, while reducing costs. Music Alert System are used to provide an audible alert of a problem in the manufacturing process. The Andon System can then play a short tune of several notes to alert the Managers or Maintenance staff of what type of tune and where the problem exists. A cross reference of tunes to production areas is made available to the appropriate staff although our experience shows that the tunes associated with a particular area are quickly learned by the Management and Support personnel. Cable pull switches are used by Machine or Production Line workers to alert their supervisors of Quality or Manufacturing issues during the Assembly Process. Typically a first pull will sound an alarm, generate a message on the plant display system, and provide local visual indication of a pulled switch. A second pull typically stops the production line until the problem is corrected. Reset switches are also often included. Industrial call pendants are used for calling for a variety of purposes and multiple combinations can be combined as needed to perform different functions can be built to sit directly on your Profibus, Ethernet, PROFINET, Seriplex, ASI, DeviceNet, or other industrial networking system.With three different types, you can perform a variety functions. Material Call Pendants can be used by the operator to alert the appropriate material managers that they are running low on materials and need a delivery to their production stations. A pendant can have several push-buttons to call out different materials needed. Quality Call Pendants can be used to call quality supervisors or other managers. These pendants can have multiple buttons or selector switches to call out different quality problems as required. Maintenance Call Pendants can be used to call for various maintenance personnel as needed. The term "Andon" is used to refer to a visual system designed to notify management, maintenance, or other workers of a quality or process problem. In essence an effective Andon System will quickly identify to the necessary stakeholders the location and nature of the problem. Leading companies around the world have successfully implemented Andon Systems as part of their Lean Manufacturing philosophies. Quality departments and Six Sigma Blackbelts in nearly every industry realize the value of a good Andon System. At it's core, an Andon System consists of a group of visual products and systems that interact in order to communicate information to stakeholders on status and problems within a facility. By quickly delivering information through visual and audible cues, resource loss in the forms of equipment downtime and personal hours is minimized. Ultimately, a successful Andon System Implementation carries a return on investment of a year or less and leads to greater overall profitability and morale. The Factory Vision® line of Andon display boards provide the perfect answer to all your communication needs in the industrial environment. This industrial LED display opens a window to factory performance and supplies the foundation for a company-wide “nervous system”, enabling all employees to understand how they affect the factory’s overall performance. Specifically designed to integrate seamlessly with manufacturing intelligence and data collection systems, the Andon board's embedded Pentium PC processor allows for maximum throughput speed in combination with multiple input sources. Our Factory Vision® Andon Display board was designed with extremely low life cycle cost as a major design criterion. This has been achieved through the use of premium LEDs, ultra efficient power handling, and modular mechanical design. You can expect the Factory Vision Andon board to provide exceptional ROI with high Mean Time between Failure (MTBF) and very low Mean Time to Repair (MTTR) characteristics. Without sacrificing viewability, our Andon board keeps your life cycle cost at a minimum with leading edge technology aimed at the maximum in reduced energy consumption. Our Andon board displays can be as small as one line of text, or as large as twenty lines of text, in a variety of widths. Electro-Matic Visual Group makes a wide variety and configurations of Cable Pull Switches that serve various applications and production environments. Please give us a call at 866-998-0990 or contact us to have an application specialist review your requirements. Please give us a call at 866-998-0990 or contact us to have an application specialist review your requirements. Call Pendants are used for calling for a variety of purposes. Different combinations of purposes can be combined as needed. All of these pendants can be built to sit directly on your Profibus, Ethernet, PROFINET, Seriplex, ASI, DeviceNet, or other industrial networking system. LED Stack Lights or Signal Columns are used to provide visual or audible alarm conditions at a machine or particular production station. They can consist of a wide variety of colors to give various machine states to the management or support staff. These lights are available in Red, Green, Amber, White, or Blue and can be stacked on top of each other in any order. They are typically LED lights for long life maintenance free operation. Strobing, flashing, and audible alarm stacks are also available in a wide variety of configurations. Please give us a call at 866-998-0990 or contact us to have an application specialist review your requirements. To learn more about our LED Stack Lights, please click here to download product brochure.